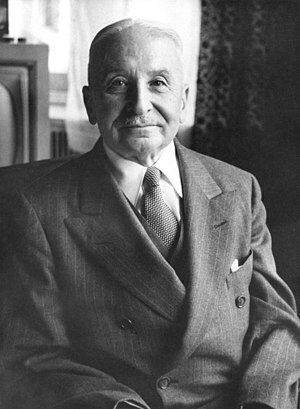 What did Ludwig von Mises say about inflation as a tax? For more on Warren Buffett, see my article, Warren Buffett’s inconsistencies. “It can tax and distribute the burden any way it considers fair and desirable, allotting a larger share of the tax burden to those who are better able to carry it, reducing the burden on the less fortunate.” – Marxist indoctrination. Class warfare. Luckily, Rothbard closed this question by bringing up the idea that it is those who receive the money first that are the ultimate beneficiaries. Mises had not yet come to this conclusion at the time of writing the above quote, but came to appreciate Rothbard’s analysis, and later prescribed to it. Mises’ primary statement with regard to taxation was based upon the idea that inflation did indeed represent a distortion of the prices of goods, but that it was indiscriminate as to which prices would rise. Rothbard then injected the idea that it was those who had first use of the money that would ultimately benefit, especially if they also had control over the supply of money. Mises eventually conceded, yet he still held that even if those that control the money supply could yield benefits, it was still indeterminate as to which prices would rise as a result of such an increase in the supply of money. Rothbard agreed. In Mises’ view, inflation cannot be deemed a tax on the basis that no party can ultimately determine which specific prices will increase as a result of the inflation of the money supply (taxes are specific). However, it must be conceded that it is those who control the supply of money that ultimately have the upper hand, and can have some aspect of control as to where the new money goes. If monetary policy dictates that mortgages based upon fiat, government guarantees, and/or fractional reserves are to be more easily borrowed by debtors than business loans, then it logically follows that there will be a general increase in demand for homes due to the diminishing marginal utility of money realized by those wishing to purchase homes on credit (and having readily available demand due to the increased supply of money pushing down interest rates with regard to mortgages). The primary point that Mises made is that taxes are specific, whereas inflation is indiscriminate. Even though those in control of the money supply have some power to steer certain asset prices to their advantage, they still do not have ultimate control as to which specific asset prices will increase. However, it is assured that any increase in the money supply will confer benefits to some, while the majority of society confers no benefit from the increase of the supply of money. Ultimately, it is the market that determines prices, whether such prices are with regard to market money or fiat money. This is what is the heart of the “crack up boom” theory of the business cycle. If those that control the supply of money also had control of all asset prices, then hyper-inflations would never have happened. The fact that they do happen shows that merely having control of the money supply is not synonymous with having control of the market itself. The only way that that could happen is if those that have control of the money supply also had control of the actions of every human being… Which is impossible.